Vote now—and vote daily—to choose your favorite among the copper pipe projects competing to win this month's Bob Vila Thumbs Up competition! Those who keep an eye on trends in home decor know that copper is having its moment right now. But ready-made copper fixtures and baubles into your space can cost a lot. However, some very savvy DIYers have discovered a way to bring this coveted material home for a fraction of the cost—copper pipes! By cutting, capping, and manipulating this metal, a handful of resourceful bloggers have created works of art worthy of recognition in this month’s Bob Vila Thumbs Up competition. 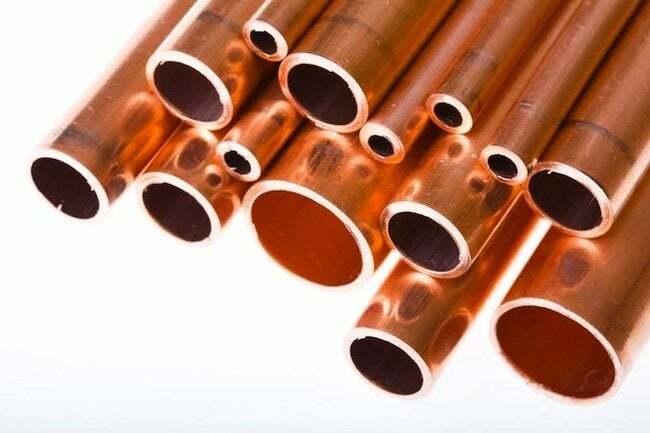 Bob Vila Thumbs Up highlights some of the best and brightest DIY bloggers, and this month we’re thrilled to share six very different copper pipe projects. They all win points for creativity and style, but we’re counting on you to help us name one blogger as the champion of this month’s competition and the prize—a $250 gift card. So cast your vote today and every day in April to help your favorite blogger become this month’s Bob Vila Thumbs Up winner. After all, it’s your vote that determines the outcome of this competition. Congrats to last month’s winning blogger, 33 Shades of Green. Read more about the winning Bob Vila Thumbs Up project right here.